If you have arrived at this page, the photos you have seen should be enough for you to see why people move to Banff whether it be for seasonal work or for good. Surrounded by protective, stunning snow-capped mountains and with quaint little streets, Banff can’t help but make you feel healthy. However, keep in mind that buying and renting in this beautiful town are two very different things. Banff has a relatively controversial law that insists that anyone buying property in Banff must pass the “need to reside” clause before they can buy property. This is more or less exactly what it hints at. There are many stipulations such as proving that you will actually be working in the park to get through before you are permitted to buy that dream house (with costs as expensive as ever, it may well be a dream house!). Talk to a real estate agent about the intricacies of such a purchase or buy property in equally gorgeous Canmore only 20 minutes away. Banff Avenue is beautiful all year round. Seasoned world travelers and renters are probably quite used to using Craigslist as a medium to find an apartment. Not so in Banff. Though there are a few (not so trustworthy) options posted on the site, there is little one can do before actually reaching Banff. Families are perhaps best to have a look at renting through one of the real estate agents around the town centre such as Alpine Realty and Bow Valley Realty. However, those on more of a budget – get ready for some competition! First of all, take a walk around all the town’s notice boards (generally in the malls and internet cafes). This is where real bargains come and if you have arrived with very little in the savings department, there is more of a chance that you won’t have to pay that often crippling damage deposit fee (usually one month’s full rent). Try to be the first to the local newspapers. The Banff Crag and Canyon is published every Tuesday and has a host of options to choose from primarily in Banff. The Rocky Mountain Outlook is published every Thursday and focuses more on Canmore renting. Both papers have very useful sections and are the main way that landlord and potential tenants communicate locally. There are literally dozens of people who look at these apartments so try to look at as many as possible in as quick time as possible before handing over that precious deposit. 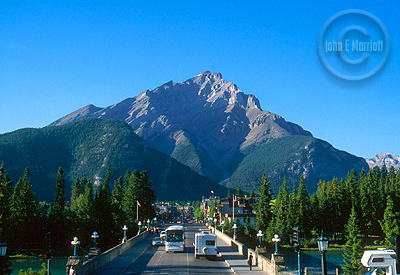 Buying property in Banff is no walk in the park. What Sort of Prices Will I be Looking at? Canmore is expensive and Banff even more so but there are good deals to be had if you have the patience. Obviously sharing a room cuts costs. Also don’t forget to ask the usual questions such as: are utilities included and how much the damage deposit will be. Here are some ideas of price to measure against. Local Youth Hostel: Around $27 -$34 per night depending on the season. Paying weekly can reduce costs. Also ask if it is possible to work for your stay. *It is possible to share a room for as little as $300 each through short term deals on the local notice boards around the restaurants and cafes of Banff. If you have arrived at this page, the photos you have seen should be enough for you to see why people move to Banff whether it be for seasonal work or for good. Surrounded by protective, stunning snow-capped mountains and with quaint little streets, Banff can’t help but make you feel healthy. 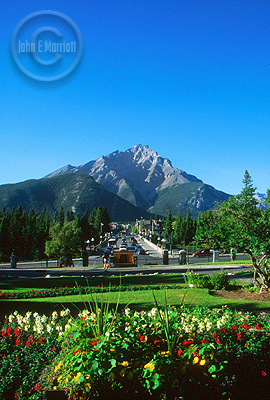 However, keep in mind that buying and renting in Banff are two very different things. *It is possible to share a room for as little as $300 each through short term deals on the local notice boards.